The ‘new kids’ in the workplace differ from previous generations and present major implications for workplace design. Everybody loves you, so don’t let them down. A seismic change is about to hit the workplace. No, it’s not an earthquake, but it will shake facilities nationwide. While Millennials at work continue to make noise and generate headlines, quietly falling under the radar is the fact that Generation Z—those born between 1994 and 2010—is now the largest portion of the U.S. population, edging out Millennials 26 percent to 24.5 percent. What’s the big deal? Other generations have entered the workforce over the years, right? Well, this is different. 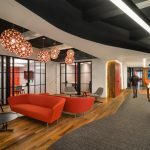 While Baby Boomers continue to retire, and Millennials assume more management positions, the “new kids on the block” are beginning to assert themselves and impose their values on workplace transformation strategies, including the ubiquitous open office. Gen Z is similar to Millennials in that both groups enjoy multi-tasking and have a mutual affinity for technology, but there are some telling differences. For example, Gen Zers were very young or not born when the 9/11 attacks occurred. They have no idea what it’s like to live in a world without war and global terrorism, and this this may well have resulted in them feel unsettled and perhaps insecure and circumspect. Even more so than Millennials, Gen Z is unique in that technology may be their sixth sense. Gen Zers are digital natives born into a digital world. They grew up with smart phones, iPads, broadband, and Instagram, along with all the latest techie trends that they are quick to adopt. Indeed, they are comfortable with new technology, are intuitive about social and digital media, and integrate all the latest apps into their socialization patterns. Pay phone, pager, dial-up modem? These are artifacts from “back in the day.” The Eagles and other classic rock bands? That’s “daddy’s music.” Instead, Gen Zers are part of the soundbite generation and beat to their own drum, with a digital bond to the internet and each other, and this often is reflected in their career choices. Studies indicate that 77 percent of 12-17-year-olds owned smart phones in 2015. They spend more than three hours a day using computers for purposes other than schoolwork. About three-quarters of those aged 13–17 use their smart phones daily, more than they watch TV. They will likely generate $44 billion in annual spending, and this will affect the purchase of toys, apparel, food, entertainment, TVs, mobile devices, and, of course, computers. Other studies suggest that the Gen Z cohort uses social media to strengthen bonds with friends and develop new friends. They interact with people who they otherwise would not have met in the real world. Topping the list of employee benefits valued by Gen Zers is workplace flexibility. A 2014 study, “Generation Z Goes to College” found that Gen Z students self-identify as being loyal, compassionate, thoughtful, open-minded, responsible, and determined. But how they see their Generation Z peers is different from their own self-identity, viewing them as competitive, spontaneous, adventuresome, and curious—all characteristics that they do not see readily in themselves (1). Speaking of education, Generation Z college students prefer interpersonal and independent learning over group work. Solo work preference translates to workplace behavior, as only 38 percent said the ability to collaborate in the workplace was key to enabling their best work. This runs counter to most Millennials who generally thrive in collaborative environments enabled by open workplaces. 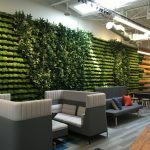 Look for balance in workplace solutions, not “one size fits all.” Flexible workplace design will likely include more “hybrid” offices that combine private space for heads-down work as well as open areas that promote collaboration. Be willing to train and educate staff regarding the benefits of different work settings. This begs the need for change management programs. Engage forward-thinking, experienced workplace consultants. The evolving, multi-generational workplace has spawned a new breed of contemporary project managers. These specialists embrace a holistic approach that accents sensitivity to all demographics in the workplace—and strives to find common ground. Looking ahead to the time when Gen Zers “grow up,” we know that 37 percent of Gen Z’s polled aspire to be a corporate leader, and 49 percent expect to work in their current industry their entire career. So we need to welcome a new wave of decision-makers. Gen Zers are demonstrating that they dream big and have a “we can change the world” attitude. So maybe some DNA from the Baby Boomers has been transferred, which isn’t a bad thing. Drastic change won’t occur overnight, but it’s coming, and we need to be prepared. We need to consider a new way of thinking to accommodate “new kids” and “older kids,” encouraging them to play nice in the sandbox. It’s all about adaptation and innovation for all generations working together. It’s about the need to be sensitive to different styles while we’re still mindful of common corporate objectives and the bottom-line. If we can adjust accordingly, we just might have a “Peaceful Easy Feeling,” as the Eagles would put it.